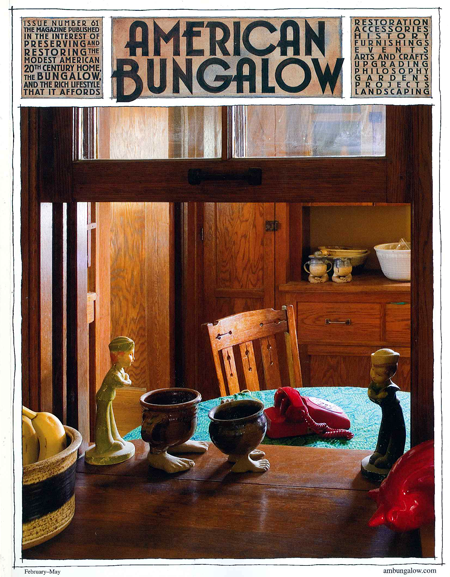 In Wichita, the undiminished appeal of 100-year-old bungalow neighborhoods is testament to their developers’ far-sighted visions. A 1924 Craftsman “mini-mansion” houses an eclectic collection of period furnishings and folk art. Divided Light: Why Preserve Bungalow Windows? An old bungalow’s windows are its eyes and ears. Sensible preservation and careful restoration can extend their lives. has the goods to prove it. and Robert Winter gets his due … again. In a time of extremity, a magazine’s arrival affirms life.